StampListing.Com is a philately web portal dedicated to the world wide stamp collectors. Using StampListing.Com you can promote your Philately clubs, Enhance your collection with the help of other philatelists by swapping philately materials, Sell your surplus materials to other philatelyst, Buying your required materials from other stamp collectors or Stamp Dealers by posting your wantlist, Contact the world wide dealers to Buy and Sell your philately materials, stamp trade / stamp exchange with other stamp collector. If you are a thematic postage stamp collector, you can easily get contact the other stamp collector who is collecting on your theme, or if you are collecting the country collection then you can easily find the relevent stamp collector to share the information or philateic materials. You can also find various Philately websites like online stamp stores,thematic websites,country collection postage stamp websites, stamp trading sites, personal stamp collection sites , thematic stamp collection web sites, philately online auction house, philately special cancellation and much more are listed here. Postal stamps, bolli postali, sellos postales, selos postans, Poststempel, timbres postaux, post zegels. First-day covers, general postal covers and political philately from East and West Germany, 1949-1990, most postally used. Many rare West German trade union and political leader philately items.Philatelic website link exchanges also wanted. I want used stamps , Unc banknotes and postcards from Africa and South and South East Asia .I offer stamps and banknotes from Asia and Africa and Europe . If u r interested pls contact me . 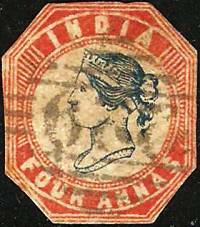 We deal in all kind of indian & foreign stamps. We are into this for the last 45 years. Contact for all your bulk & retail requirements at competitive prices you may call at 011-22003302, 9868657617. We are placed at Delhi. Join the Stamp Community! Creating your account only takes a few minutes.